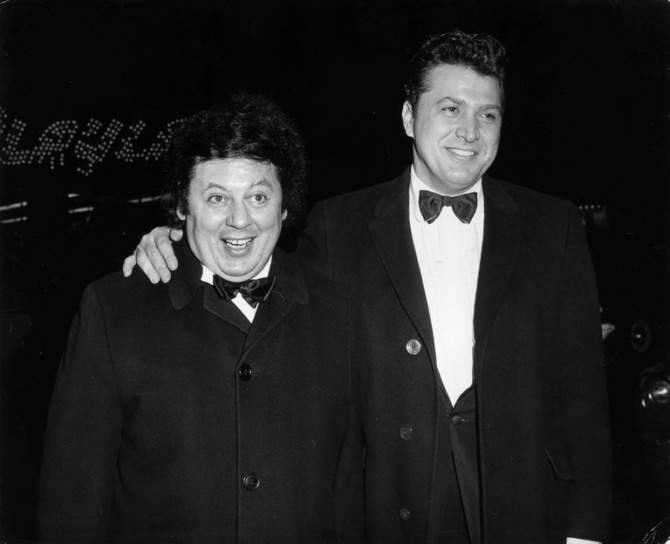 Marty Allen, the frizzy-haired, bug-eyed clown who joined forces with the crooner Steve Rossi to form one of the most successful comedy teams of the 1960s, died on Monday in Las Vegas. He was 95. Allen and Rossi’s humor was not sophisticated — Mr. Allen’s signature phrase was the succinct exclamation “Hello dere!” — but it was effective. Most of their routines took the form of interviews, with Mr. Rossi asking the questions and Mr. Allen typically playing a befuddled and incompetent (but strangely lovable) astronaut, football player, doctor or other character. In one of their best-known routines, Mr. Allen was a punch-drunk boxer. “Would you say you’re the best fighter in the country?” Mr. Rossi asked him. That kind of comedy was as old as vaudeville if not older. But the material worked thanks to the partners’ personalities, and their chemistry. If Mr. Rossi’s unflappable suavity was standard operating procedure for a comedy team’s straight man, Mr. Allen’s childlike mix of innocence and insanity was something new. Audiences responded, especially after the team began doing topical jokes. Within a few years after teaming up in the late 1950s, Allen and Rossi had become a familiar presence in the nation’s top nightclubs and on television variety shows. In two of their many appearances on “The Ed Sullivan Show” — Mr. Allen liked to say that they had been on the show more times than Ed Sullivan himself — Allen and Rossi had the unenviable task of following the Beatles. They won over an audience dominated by screaming teenage girls both times.